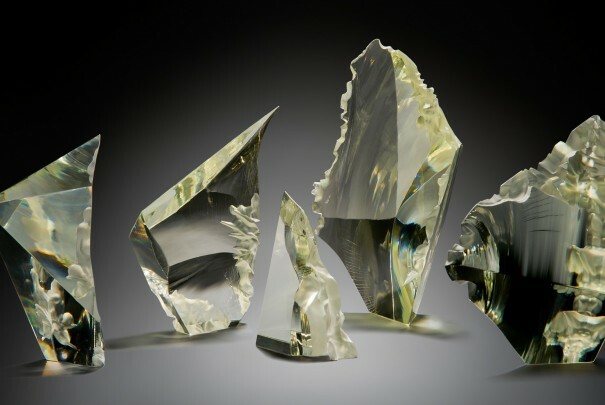 "chipping away at greatness . 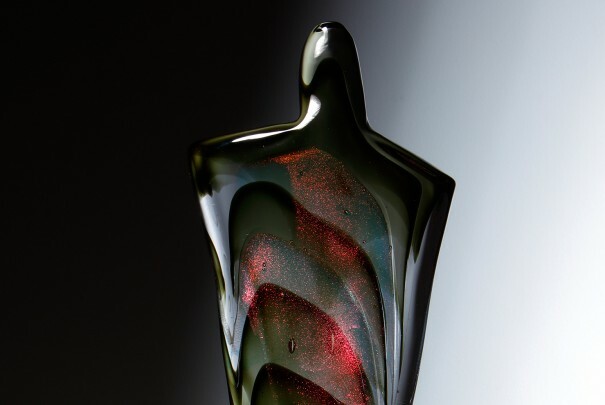 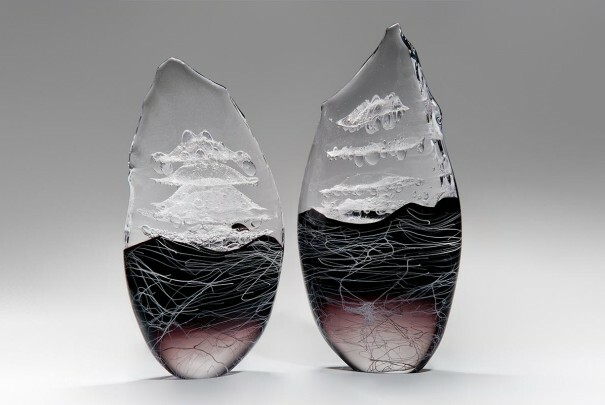 . ."
James Devereux has been working in glass from the age of 15, when he discovered a natural talent for the craft, and he has been working in glass ever since. 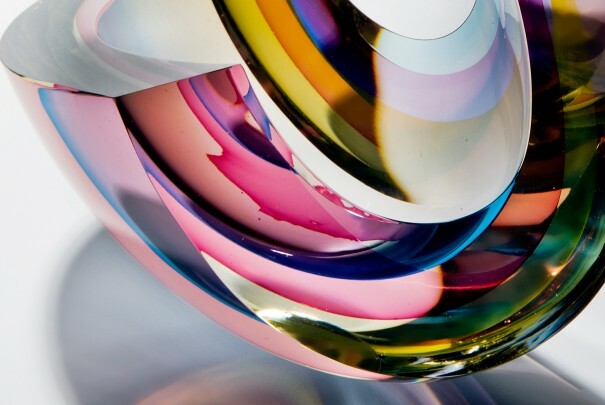 Specialising in hot glass, his skills covers solid forms as well as blown pieces, and an extensive knowledge of glass techniques means he is always primed for new challenges. 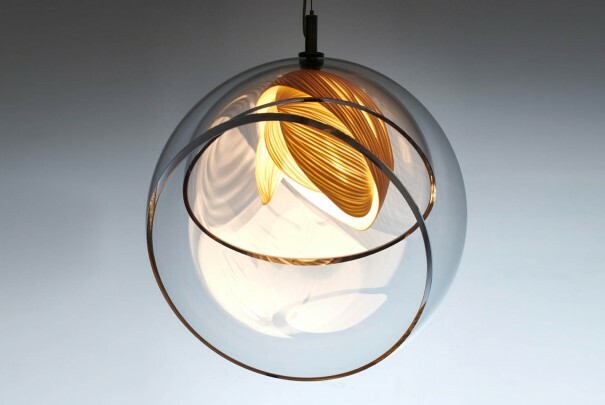 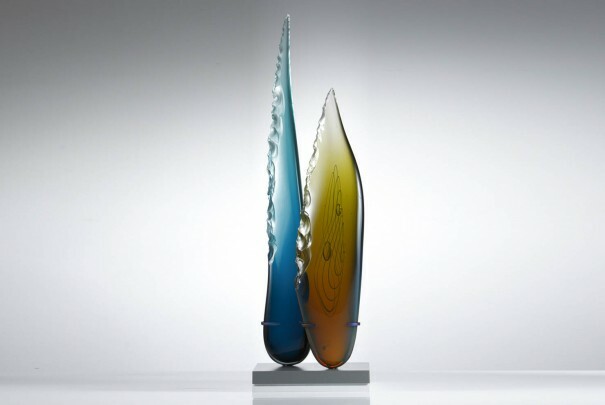 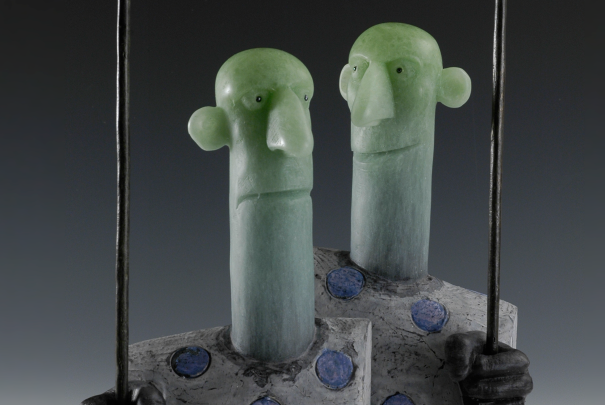 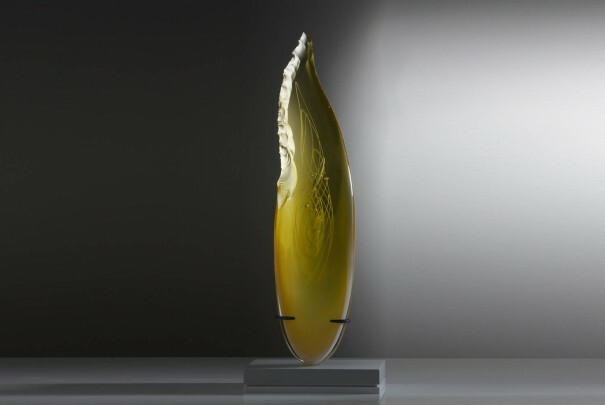 In September 2008, Devereux opened his first studio in the inspiring Wiltshire countryside, and a year later he was pulled back to London as the glass technician at the Royal College of Art, a role that opened up vast new contacts and opportunities which are still at the core of his career today. 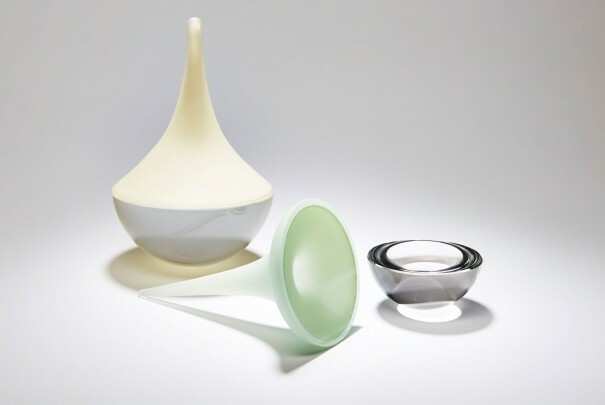 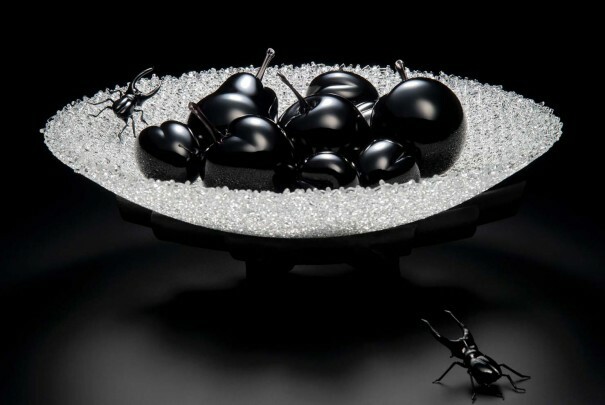 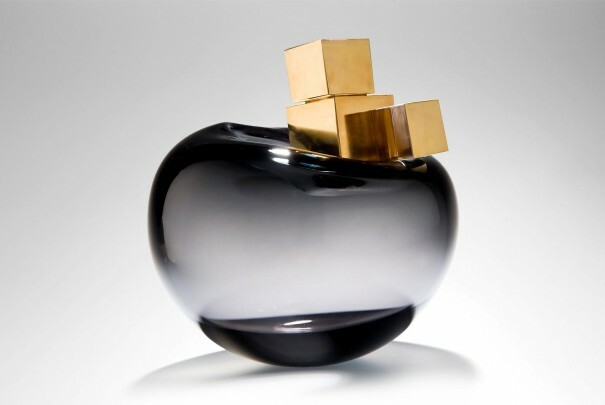 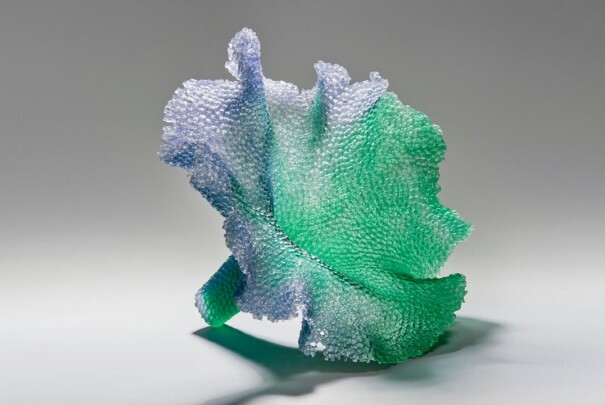 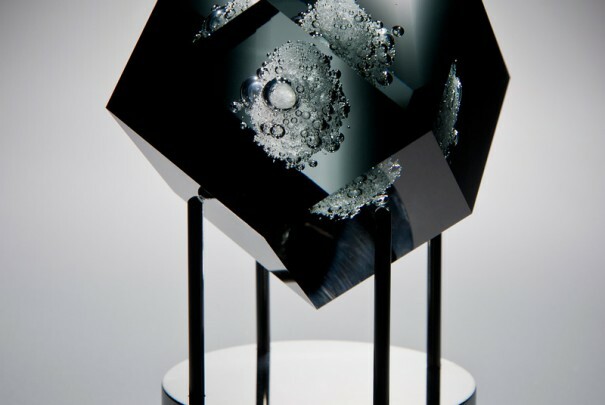 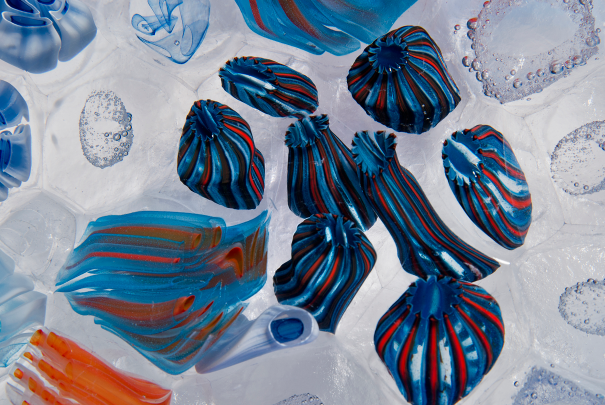 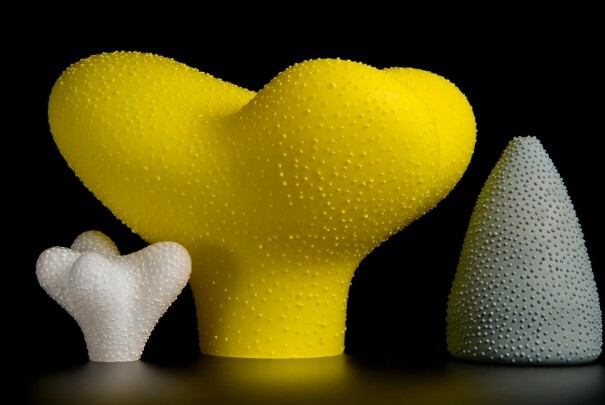 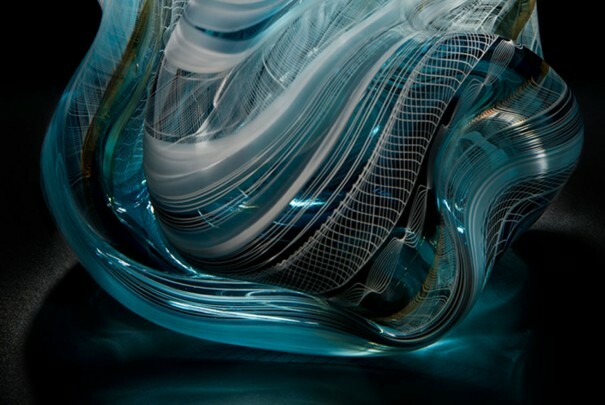 After leaving London in 2013, Devereux set up a new studio in collaboration with glass artist Katherine Huskie. 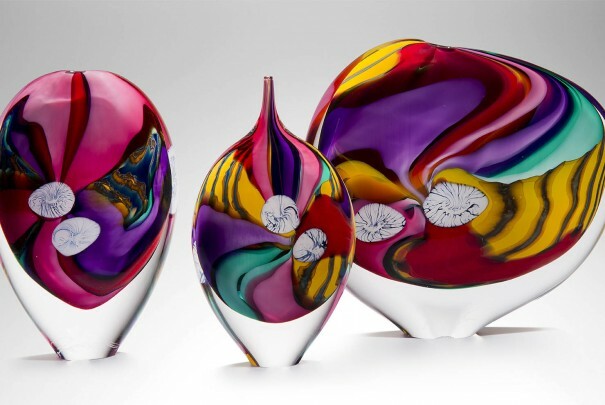 Through their combined talents, Devereux and Huskie Glassworks attracts some of the finest artists in the country as a place to make their work. 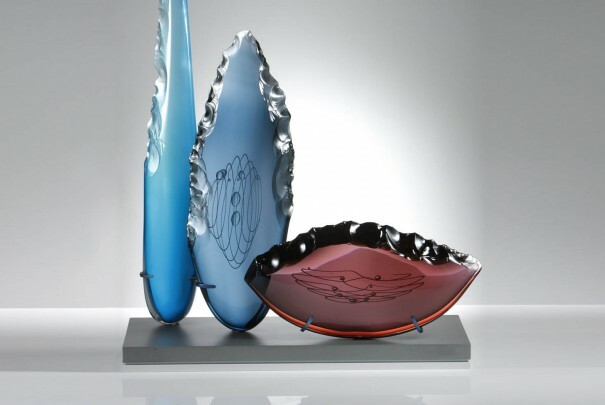 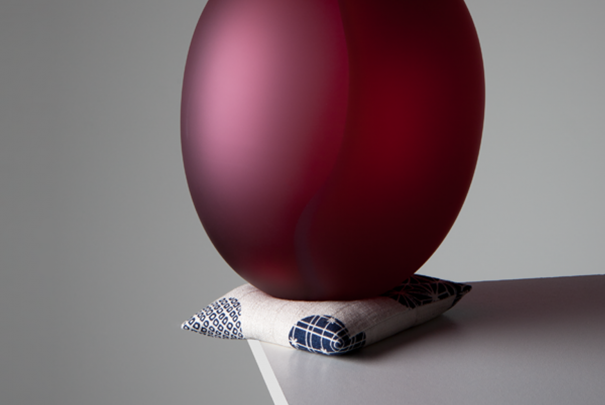 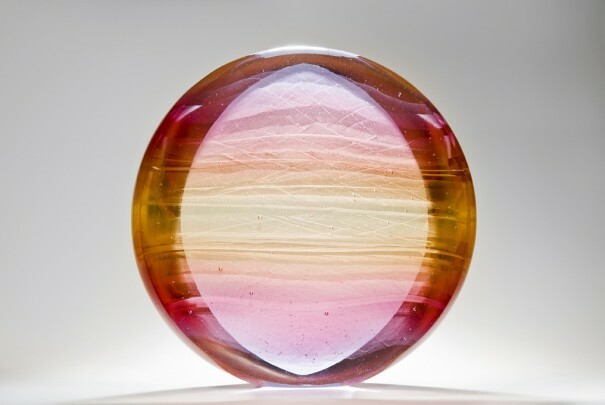 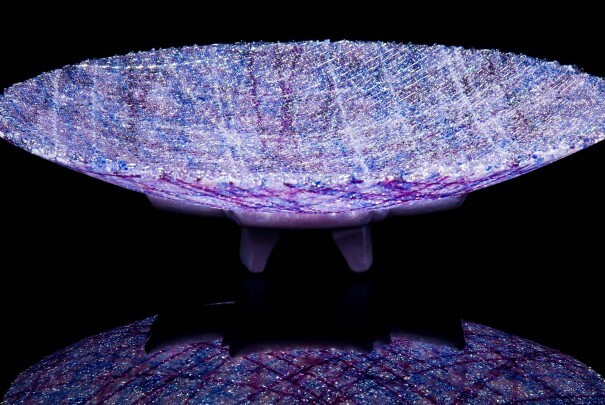 The Clovis Collection is the result of laboured experiments by James Devereux to literally chip hot glass like stone. 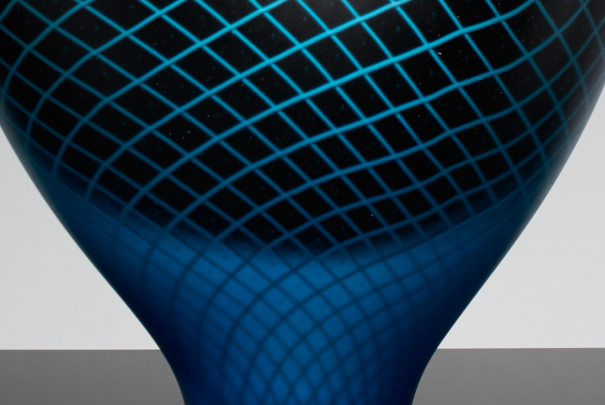 After perfecting this unusual technique, Devereux produces breathtaking results, monolithic objects with smooth lines- juxtaposed with fractured edges. 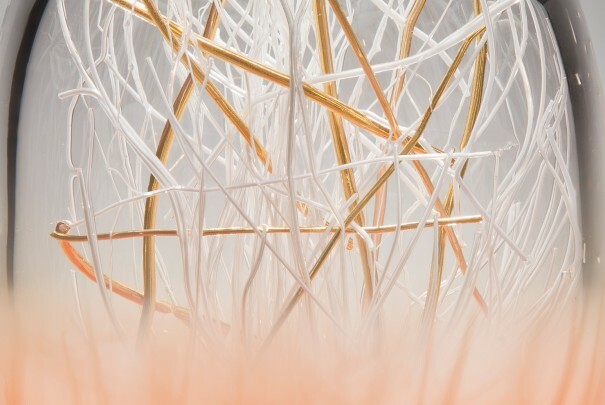 Creating these pieces in subtle tones places the focus on the texture and form of each component.